Read How I Wrote the Book! Book. Is. Done. Alpha Done. Beta Done. Editing Done. Got the "beta" print version of the book today from Amazon (don't order it yet) and all the code formatting was missing!!! "React Explained" has been submitted to Amazon!!! Was told the book should be available for purchase on Amazon next week!!! Just heard the "beta" release is being shared with some OS Training community members! Met with the publisher and we're now in the final phase of editing and formatting the book!!! I just finished the last chapter of the book and sent it off to the publisher for editing. Some minor tweaks left, but I. Am. Done!!! Continuing breaking up final project into separate chapters. Here's what we've got so far.. Outlined first few chapters for the Project section of the book. Breaking up project into steps – render content, add routing, add crud, add Firebase, etc.. Finished styling and refining the final project we will build. Next step, write up how we build it and book is done! Finished the last practice exercise chapter!!! All that's left now is a chapter for the project!!! – Getting so much closer to done!!! – All the main chapters are DONE! – 🙌 ONLY ONE CHAPTER OF CONTENT LEFT TO WRITE!!! Continued writing and working on examples for Component Lifecycle chapter. Revamped the component lifecycle visualization, thinking through examples to go along with it.. should be back to writing next session. Worked on demos for Component Lifecycle Chapter, will start writing in next session – much closer now to the end of the book than the beginning! Still working on Props Chapter – finished section on "Setting Props at the Highest Component Level Necessary"
Question for my #React book..
Should the Context API get explained in the Props chapter or later in it's own chapter? I know they're not apples to apples, but wondering at what point to introduce? Didn't have a ton of time today to write, but kept plugging away on Props Chapter – 1 way data flow and simple examples of props in action. Finished intro to Props chapter and began mapping out the rest of what I want to cover. Short morning writing session today, hoping to work on it more later.. Setting a goal of 6 weeks to finish the rest of the book!!! After feedback from the editor I went back and reworked a few chapters to have a better flow. First 6 chapters are off to @AmazonKindle for early release!!!! Knocked out an extra chapter today called "React Elements and Components." Final step before we can publish the first 6 chapters in a @AmazonKindle early edition! Met with @SteveJBurge (a few days ago) who has now edited the first set of chapters for early release. Back from hiatus for #WCEU and #JSforWPConf! 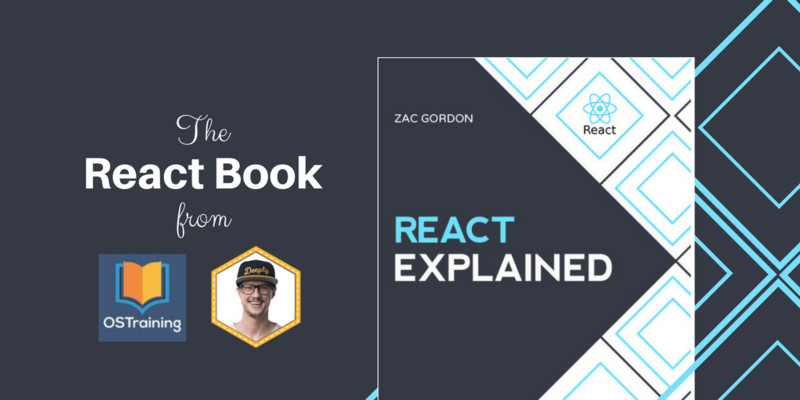 Continued on going back to add an early chapter giving a high level overview of React and all it's parts. Began plotting what project(s) we should build 🤔 Ideas?! Started working on Chapter 6 – "Component Architecture"
Day 3 of working JSX Chapter ~ Today focused on different approaches to conditional statements and an into into declarative programming. Still more to do! 1. Worked on Chapter 1 – "Preparing to React"
2. Write the Introduction: "Simplicity, Ingenuity & The Right Place at the Right Time"